Lawmakers are now asking questions about what happened. At least four times this year, government regulators were alerted to serious problems in the heart surgery program at Johns Hopkins All Children’s Hospital. In April, the hospital’s CEO publicly acknowledged that the program had “challenges” that led to more children dying. State investigators then found the hospital hadn’t properly reported two serious medical errors. And in August, a group of children’s doctors asked the same regulators to allow an outside review of the program. Both state and federal officials promised thorough investigations after the earliest warnings. Instead, they have done virtually nothing. The state Agency for Health Care Administration cited the hospital for not properly disclosing the two errors. But it didn’t impose any fines or act on the subsequent warnings. The agency won’t say if it investigated the increase in deaths. Federal officials did even less. They performed a routine review of transplants, which make up a fraction of the program’s cases, then stalled for months. They ultimately left a broader review up to a private organization that keeps the details of its inspections secret. A Tampa Bay Times investigation published last week shows what they missed. The death rate for heart surgery patients at All Children’s tripled between 2015 and 2017, a Times data analysis found. The hospital’s Heart Institute performed worse in 2017 than any pediatric heart surgery program in Florida had in the past decade. The Times also reported that medical professionals had raised safety concerns as early as 2015, but that the hospital’s administration waited more than a year to stop taking the most complicated cases. Even after that, many surgeries went wrong. “It is unusual that so many levels of regulators would drop the ball,” said Robert Field, a health care regulation expert and professor at Drexel University in Philadelphia. Several members of Tampa Bay’s congressional delegation described the lapse as troubling. “We are particularly disappointed that inadequate regulatory oversight appears to have contributed to prolonging the pain and suffering for patients and their loved ones at All Children’s Hospital,” Democratic U.S. Reps. Kathy Castor and Charlie Crist wrote in a letter to the federal agency that oversees health care funding. U.S. Rep. Gus Bilirakis, R-Palm Harbor, called the increase in deaths “extremely concerning” in a statement and said he would be looking into its cause. A spokeswoman for All Children’s declined to speak with the Times. Approached outside a public meeting Tuesday, All Children’s CEO Dr. Jonathan Ellen kept walking. “No way I’m talking to you,” he told a Times reporter. A spokeswoman for the federal agency said it decided not to perform an investigation because state inspectors had not found violations of any federal rules. State Agency for Health Care Administration spokeswoman Mallory McManus said that when the agency investigated in April, it looked into everything it had “the regulatory authority to investigate” with the information it had. Until the recent Times story, the agency had received “no new allegations of non-compliance,” she said. Regulators have known about issues at the hospital’s Heart Institute since at least April, when the Times reported that surgeons had left needles in the chests of two patients. The parents of one patient said they didn’t know about the needle until after their daughter was discharged from the hospital. It remained inside her body for weeks. 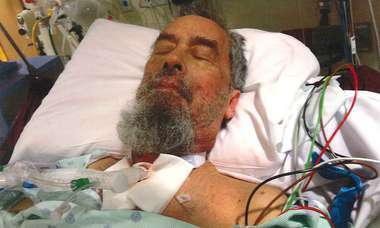 It was eventually removed during an unrelated surgery at St. Joseph’s Children’s Hospital. The Times also reported that Ellen had acknowledged wider problems within the Heart Institute, including that a top surgeon had stopped operating and the death rate among heart surgery patients had increased. The state Agency for Health Care Administration opened an investigation into All Children’s that month. 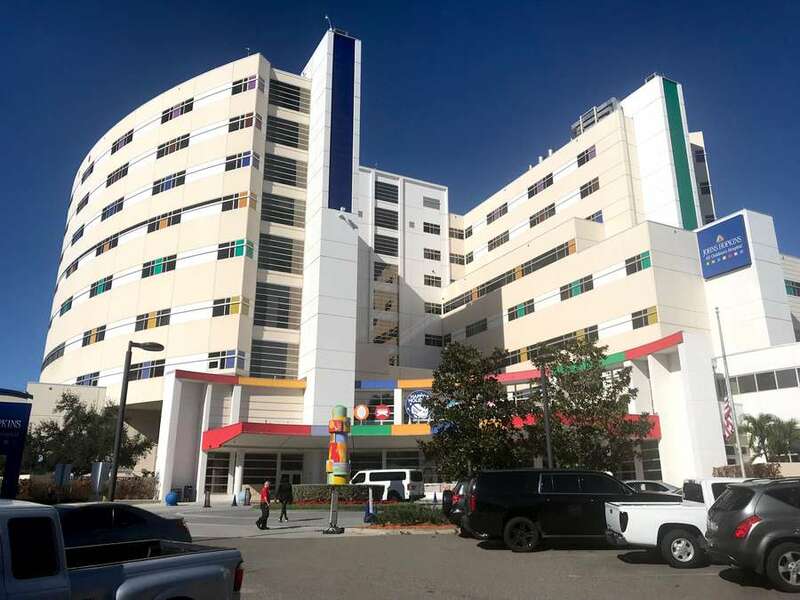 The agency gives All Children’s its license to operate and has authority under Florida law to ensure hospitals meet standards in patient care and quality. State regulators performed a “risk management survey,” which examines a hospital’s processes for tracking and addressing hazardous conditions and errors. Inspectors examined a sample of 14 patient cases, records show. In an April interview, the Times had asked agency spokeswoman Shelisha Coleman if the investigation would cover the needles left inside patients, the surgeon’s removal from the operating room and the program’s death rate. Coleman confirmed that the agency would look at all three issues. McManus, the agency’s communications director and Coleman’s supervisor, did not answer questions posed over the last two weeks about whether the agency had followed through with an investigation of mortality rates. The department looked at everything it was allowed to review, she reiterated. McManus said the investigation was “broad,” and included interviews with risk management staff, floor nurses and other hospital employees. The agency believed it would “give the best full-scale picture of the practices of the hospital,” she said. But State Sen. Aaron Bean, a Fernandina Beach Republican who chairs the Health and Human Services Appropriations Subcommittee, said the agency could have gone deeper. 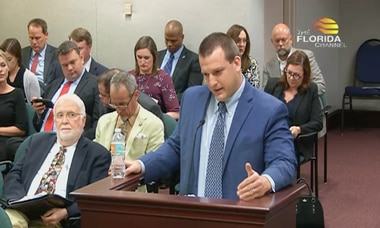 The state determined that All Children’s had violated Florida law by not disclosing two serious medical errors to the state and failing to tell the parents of one patient about an object left in their child’s body after surgery. It did not fine the hospital, or cite it for anything else. Instead, on June 14, regulators returned to St. Petersburg and determined All Children’s had corrected the problems. Days after state inspectors gave All Children’s a clean bill of health, another branch of the same agency was handed a sharp warning about the Heart Institute. On June 21, former All Children’s cardiologist Dr. Elise Riddle was called to testify during a hearing to determine whether her current employer, the Arnold Palmer Hospital for Children, should be allowed to open a pediatric heart transplant center. She testified at length about problems in the competing heart surgery program at All Children’s. She described poor surgical results and a “mass exodus” of medical professionals. Riddle had been chairwoman of the program’s quality improvement committee, she said. But administrators would not give her access to comprehensive data on the program’s performance. Lawyers for the health care administration agency were at the hearing and asked Riddle questions. The agency took no action on the information. When told about Riddle’s testimony by a Times reporter, former Agency for Health Care Administration Secretary Alan Levine said he was stunned. “That by itself is something I would send surveyors in to look at today,” he said. He said he suspected that the information had not made it to the right branch of the agency. In August, the state was given another reason to scrutinize the program’s results. Dr. Madeline Joseph, then president of the Florida Chapter of the American Academy of Pediatrics, wrote a letter to the head of the state health care agency. 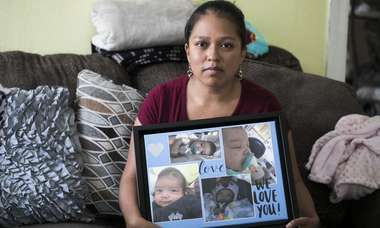 “Several members of the state legislative delegation” had asked if a state panel of doctors could review All Children’s heart unit and advise the state on its findings, she said. Her group endorsed using the panel to provide “experienced observations and data analysis to allow a more scientifically objective evaluation than what one might find in the press,” she added. Agency for Health Care Administration Secretary Justin Senior replied in writing to turn down the idea. The agency “has trained staff to investigate allegations of non compliance of current statute or rule,” he wrote. State law, he added, does not authorize the panel, “or other bodies besides the agency,” to investigate heart programs. He plans to look into what happened at All Children’s when lawmakers return to Tallahassee. “If we have to bring people to our committee and ask them some questions about why the death rate was so much higher, that’s what we’ll do,” he added. After the state completed its risk management inspection, it sent the results to the federal Centers for Medicare and Medicaid. The federal agency reviewed the report, then in May told the Times it was opening its own investigation. The federal agency can perform a review that ensures hospitals meet its quality standards. The stakes are high. The federal government can shut providers out of the Medicaid program, which pays for health coverage for low-income adults and children. Like many children’s hospitals, All Children’s depends on Medicaid for much of its revenue. Weeks later, federal inspectors conducted a standard review of the All Children’s heart transplant program, records show. According to the Scientific Registry of Transplant Recipients, the transplant program performed 10 procedures in 2017, a small fraction of the institute’s overall caseload. One of the 2017 transplant patients was Jean Kariel Viera Maldonado, a 5-year-old boy the Times profiled last week. After the surgery, the stitching connecting Jean Kariel’s new heart to his body broke. He had a massive stroke. Hospital officials later told his parents that had never happened at All Children’s before. Today, he can no longer walk or speak. Nonetheless, the federal inspection found no issues, records show. The agency continued saying it intended to perform a broader review. Then in September, agency spokeswoman April Washington told the Times the plan had changed. At one point, there had been “clear indication” that federal regulators wanted to review the hospital, she said. But they ultimately did not. It was partly because the state hadn’t found any violations of federal rules, she said. Also, a nonprofit called the Joint Commission was due to visit. The group accredits hospitals and evaluates them to ensure they are meeting standards for safe, high-quality patient care. The Joint Commission review took place on Aug. 17, according to its website. The hospital remained accredited. It is unclear whether the Joint Commission looked for or found specific problems with the heart unit. The organization does not make its surveys public, spokeswoman Maureen Lyons said. Glenn Krasker, a former director of the Joint Commission’s hospital accreditation program, said most survey teams have between two and 12 members. They typically spend a few days at a hospital and review its processes in detail. For example, a surveyor might walk into an operating room to ensure that the team has taken a “time-out” to identify the patient and confirm it was about to perform the right procedure, he said. But surveyors would not judge the quality of the subsequent surgery. “My greatest reservation with the survey process is when there is smoke — when there is concern over quality of care — they should be doing a deeper dive,” he said. Dr. Ashish Jha, a hospital safety expert and the director of the Harvard Global Health Institute, said given the seriousness of the allegations, the federal government should have taken “active ownership” of an investigation. 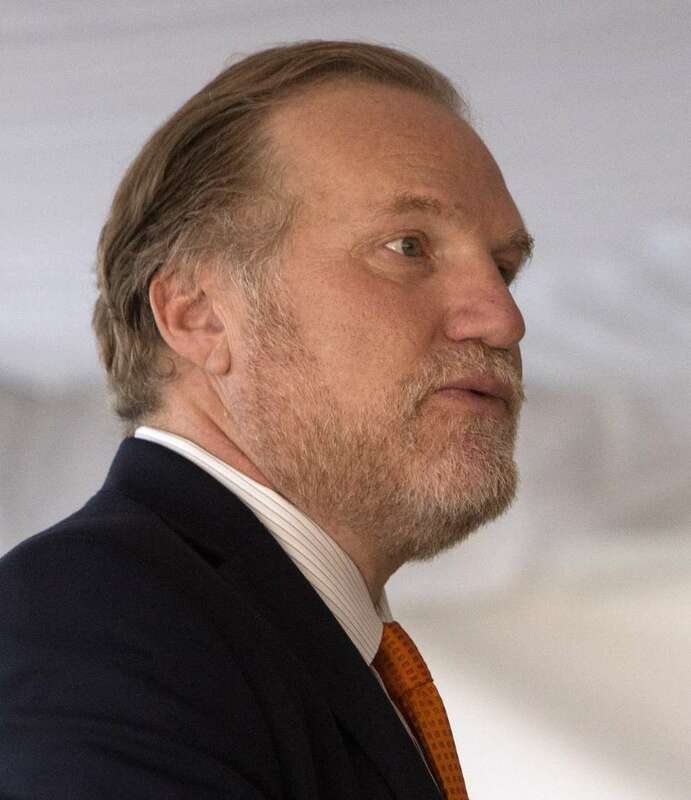 “I just don’t think the Joint Commission reviews are all that great,” he said. In their letter to the Centers for Medicare and Medicaid Services, Castor and Crist suggested the federal agency should be playing a role. They asked whether it was currently investigating All Children’s. Had an experience with All Children's Hospital Heart Institute?